Ray Hino, the warm-spirited, highly accomplished new CEO of the soon-to-open Sonoma West Medical Center (SWMC), seems to relish his new role as tour guide. Every Saturday for the past few months Hino, with his signature welcoming smile, light blue suit and tie, has graciously guided area residents through the innovative steps and spaces that will make Sonoma County’s only “no-wait emergency room” possible. The tour begins in the renovated emergency room area. Visitors see a hospital waiting room that has been transformed into a staging area where patients will be seen almost immediately by a qualified medical professional. Hino next leads them through the hallway into some of the most thoughtfully designed patient recovery rooms ever seen in California. The “patient-centric” experience is the key to what’s different, new, and exciting about Palm Drive. This approach of humanistic, quality local treatment is a welcome alternative to the institutional large city hospitals affiliated with multi-billion dollar bottom line-focused conglomerates (even non-profit ones) like the Kaiser and Sutter hospitals in Santa Rosa. 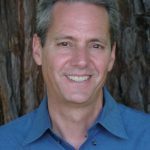 In an era in which health care is driven to consolidation for “greater efficiencies,” many consumers of health care are feeling that these “efficiencies” are diminishing care and reducing human beings into depersonalized numbers. Because our system has never evolved into a Medicare-for-All insurance system that will let us choose our doctors, we have been driven to ever larger private insurance conglomerates that actually limit our choice of doctors—especially local ones. Nowadays, about the only provider choice that the vast majority of people with insurance can still make is which hospital we choose to go to when faced with a life-threatening emergency. That’s because insurers like Kaiser and Sutter and Blue Cross will always reimburse the hospital emergency rooms that save lives when treating things like heart attacks and sudden injuries. Given the desire to “go local” for humanistic care, and the fact that the new SWMC will reopen with many of the same doctors who made Palm Drive the safest of more than 300 hospitals in the State of California (as rated by Consumer Reports), adding a no-wait emergency room and new patient-centric services make the reopening of the hospital the most important and exciting event in West County medical history. In addition, Hino notes, guests will have a personalized mini iPad at their bedside, to be used not only for charting by the medical team, but also for Skyping with family members. Or even watching movies from Netflix. Then there’s the food. 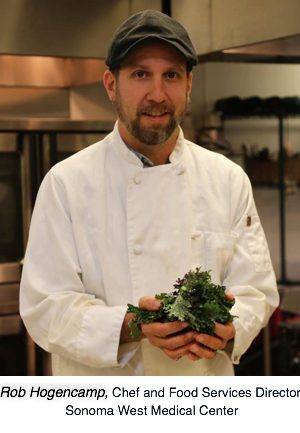 The SWMC has hired Rob Hogencamp, the former lead chef of the CERES project, to run a cafeteria and restaurant that will offer patients and their guests organic, nutritious food from a menu carefully focused on health. 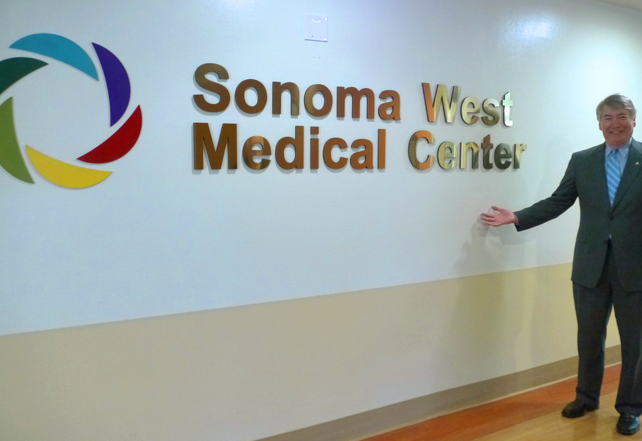 The Sonoma West Medical center plans to open at the end of May. For most area residents who for the past year have had to go to Santa Rosa’s large city hospital emergency rooms, it will be a huge relief. “I’ve lived here for over 40 years, and for me, this is great,” said 88 year Rosie Bratton, a widow (and the neighbor of this reporter). Like thousands of seniors in the West County area, Bratton’s inconvenience and worry over accessing health care has increased significantly since Palm Drive closed. Recently, what had once been a simple request to a neighbor to drive five minutes and drop her off with the helpful “pink ladies” at Palm Drive Hopsital has become a major ordeal. Bratton recently needed to be driven more than 20 minutes to Kaiser, wait hours to be seen, then brought home to Sebastopol. It took her a half hour to find someone to help her: an 80-something retired friend who was able to commit the four hours that the trip and wait took for her.